The Central Heights Legacy Fund is an opportunity to invest in a capital fund that will support strategic Kingdom building activities now and into the future. Central Heights has identified 3 strategic opportunities that, if supported with stable and dependable funding, will greatly increase the impact of this church well beyond our lifetimes. The invested capital funds will be used to support the development of future church leaders, participate in planting new churches, and encourage our missionaries with assistance for new initiatives. The Central Heights Legacy Fund is ideal for large, irregular gifts that intentionally go beyond normal giving toward the annual operating budget. It can be used for immediate contributions or as part of an estate plan to bless future generations while generating tax benefits. Investments in this fund will provide ongoing financial support for the three strategic opportunities. Investment in the training and education of future leaders is critical for the future health of the church. We can bless future pastors, missionaries, teachers and elders through financial assistance for things like internships, scholarships for graduate level Christian education and medium term service opportunities. Whether we are planting a church ourselves or partnering with others, we want to give more people the opportunity to hear the gospel message and experience Christian fellowship in their communities. New church plants have many needs and this fund provides the opportunity to come alongside these churches with support for their key initiatives. Central Heights has a rich legacy of sending and supporting missionaries. While we already provide base financial support for a number of our missionaries through our annual operating budget, this fund enables additional support for specific projects or one-time costs identified by our missionaries. Examples include the costs associated with beginning a new assignment and ministry projects above what missionaries’ sending agencies can support. The Central Heights Legacy Fund Policy Document is available with a full description of the management of the fund. Briefly, a Legacy Committee appointed by, and reporting to, the Central Heights Elders Board will ensure compliance to the Policy. 10% of all contributions to the fund will be directed to a Central Heights Church special capital project or building maintenance fund for immediate use. The balance (90%) will be deposited with Abundance Canada to be managed according to the Policy directives. Each year up to 5% of the year-end balance will be made available for use in pursuing the 3 strategic opportunities. The Legacy Committee will recommend a disbursement plan for the year to the Elders Board and the Board will make the final grant decisions. Annual Central Heights Legacy Fund disbursements will begin in 2018. The Fund will be managed on a calendar year basis with the following timeline: The Legacy Committee will determine and advertise the funds available for disbursement by January 15th each year. Applications for funding will be received until Mar 31st. The Legacy Committee will submit a recommended disbursement plan to the Elders Board by April 15th with the intention that grant disbursements will be finalized by April 30th. Who will be Eligible to Apply for Grants? Those eligible to apply for grants must have a clearly demonstrated connection with Central Heights Church. This is an exciting new opportunity to participate in the building of God’s Kingdom. Please consider if Christ is calling you to make an investment that will last more than a lifetime! 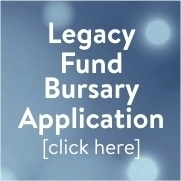 To find out more about the Legacy Fund please contact the Central Heights Church office or contact a Legacy Committee member to arrange a Kingdom investment discussion.